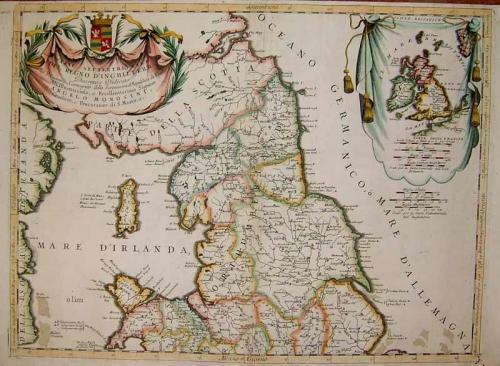 Attractive and beautifully engraved set of two maps of the Northern and Southern portions of England. Shows counties, towns, roads, rivers, Islands, etc. Italian text on the verso. The maps are in good condition.